DataExchange is a data replication solution that helps to protect your data from system failures or to copy your data to a secondary reporting server to offload processing from the production box. For more information about this product, please see our main web site's DataExchange page. 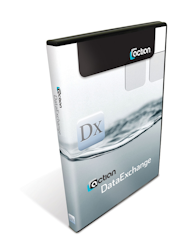 DataExchange v12 is designed for use with Actian PSQL v12 or PSQL Vx Server 12 Engines (Service Pack 1 or Higher), and works with either 32-bit or 64-bit Server engines. The DataExchange license you purchase is for a single server, regardless of your PSQL engine user count. One-way replication from one server to another can be achieved with a single license of the Real-Time Backup Edition (RTBE). Two-way or multi-server synchronization can be accomplished with the Synchronization Edition (SYNC), but you need a license for each server participating in the replication ring. If you are not running PSQLv12, this license is NOT for you. Please see our other DataExchange pages.